The Daily Money Managers at Bill Ladies are experienced professionals you can trust to bring clarity and order to the day to day management of your everyday financial and insurance matters, always acting with professionalism, compassion and integrity. Bill Ladies was co-founded by Mary Thale and Jeanette Rhyan, who saw a need and wanted to help people who feel overwhelmed with their daily finances and records. Their combined business, project management and social backgrounds put them in a unique position to help people from all walks of life – whether it be an aging parent no longer able to stay on top of finances, a college student sorting through loans, a small business owner needing focus on the core business, or a busy professional who is constantly on the run. The Bill Ladies Daily Money Managers firmly believe in and adhere to the American Association of Daily Money Managers Code of Ethics. 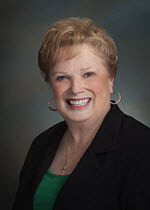 Jeanette’s extensive business background makes her ideally suited to help families, busy professionals and small businesses with their accounting and bookkeeping systems, as well as conservatorship responsibilities. Prior to founding Bill Ladies, Jeanette worked as a project manager for American Express for more than 30 years, where she was known as a great collaborator, understanding listener and detail-oriented organizer. Jeanette has been a conservator and daily money manager for more than 10 years. She is a member of the American Association of Daily Money Managers (AADMM). ​With more than 20 years’ professional social work experience, Mary has a heart for helping families. She is an expert at helping clients assess their needs and concerns. Her background makes her uniquely skilled at finding resources and navigating government programs and insurance companies, including M­­­­­­edicare, and in helping families set up financial systems. A special area of focus for Mary is enabling people maintain their independence as they grow older. 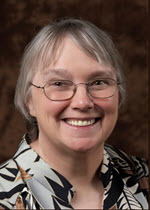 Mary has a Masters’ of Science in Social Work (MSSW) and is a member of the American Association of Daily Money Managers (AADMM).